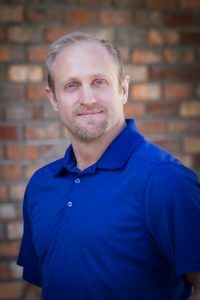 Ryan moved to Boise Idaho in 2012 to attend Boise State University and pursue the lifestyle that Idaho only has to offer. He graduated in three years with a Bachelor’s degree in Business Administration with an Economics focus. He continues to love the Treasure Valley and everything it has to offer. From the local skiing and biking to climbing at the black cliffs and fishing in the Boise River. If you are looking for the Idaho lifestyle, to retire or raise a family, this treasure valley has everything that you will ever need. 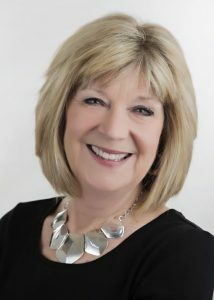 Barb has been actively involved in the real estate business since 1970 — beginning her career with a real estate development firm providing property management for both commercial and residential units; evolving to project manager for condominium conversions; and then onto new construction and resale – specializing in residential sales since 1980. She has managed a real estate office: training and mentoring new agents. 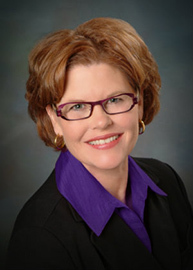 Barb holds a Brokers License in Idaho and California: is a Graduate of the Realtors Institute (GRI), a Certified Residential Specialist (CRS), a Seniors Real Estate Specialist (SRES), a short sales and foreclosure Resource (SFR), a member of the Women’s Council of Real Estate (WCR) and is Quality Service Certified (SQC). She is also an instructor with Envision Real Estate School in Boise, ID; providing pre-license classes for those seeking to begin their career in real estate and continuing education for licensees. Whatever your real estate needs are, she can help you — she has the experience, knowledge, skills, and enthusiasm that you should want and expect. You will find her integrity and sensitivity to the personal and emotional aspects of buying and selling will make your experience a success, as well as her skill in handling the financial and contractual subtleties encountered in every transaction. Today she is an Associate Broker with Silvercreek Realty Group. Barb can be reached at 208-484-2104 or knowbs48@gmail.com. In her previous career as an organizing consultant to Fortune 500 companies, Janet Jameyson took the stress out of her clients' lives. Her goal is to bring that same organized professionalism and high level of service to you and your real estate transactions. Well-liked and respected in the business and the community, Janet is an active community member. She has served as an officer of the board at The Children's School and as an active parent in her local schools. Allow me the opportunity to be your guy in Real Estate. I will work tirelessly to help you build your investment portfolio through buying and selling your investment properties. As a property owner myself, I understand how important it is to have positive cashflow. I will assist you in selecting new investment properties either through 1031 exchanges, cash purchases or other financing avenues. The Burgeson Group is comprised of Phil and Megan Burgeson, both Loan Officers with Fairway Independent Mortgage Corporation. They have a combined 15 years in the real estate industry. Both have lived in Boise since high school and consider Idaho their true home! Together they are raising their four children while working hard to make dreams come true for homebuyers in the Treasure Valley. They invite you to call or email – when you have a team of two working for you, there is always someone available!